Are you dreaming of an eco-friendly holiday in a Alpine Pearl, surrounded by the wonderful mountains of Trentino? Moena is the perfect destination. Here you have the best eco-friendly hotels and green residences that will let you spend nights and days of total relaxation in Fassa Valley, in harmony with the nature all around! From the unspoiled nature of Passo San Pellegrino, to the beauties of the historic village of Moena, residences, mountain resorts and hotels that are incomparable for beauty, style, services and sustainability. Whatever your idea of mountain holidays: skiing, discovering nature and local culture, immerse yourself in wellness and spa, Moena is one of the best sustainable destinations around the Dolomites. Just have a look to these green hotels and plan your ideal holiday. 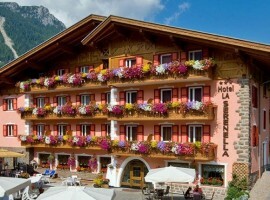 What are the best green hotels for an eco-sustainable holiday in Moena and Val di Fassa? Here they are! Beautiful landscapes, silence and unspoiled nature. 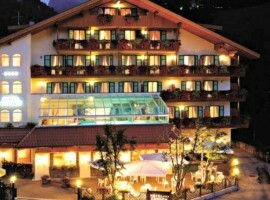 Costabella is the ideal green hotel for those seeking a full immersion in the mountains. From here you can start on foot, on skis or snowshoes for long hikes, or relaxing walks in the alpine hut. 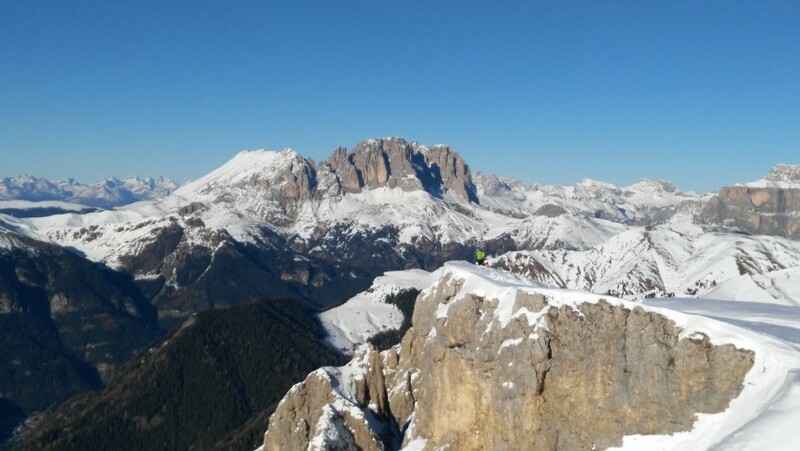 All around the spectacular landscape of the Dolomites. The windows of the rooms overlook the pristine nature, and the grazing cows accompany your summer holiday like a sweet melody. 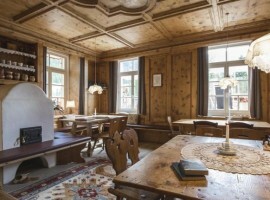 The historical structure combines traditional Trentino elements with cutting-edge services: fiber-optic WiFi, well-kept natural-wood furnishings, a wellness center with herbal teas, Turkish baths and emotional showers. Those traveling with their four-legged friend will be happy to know that the hotel is pet-friendly! Why it is green: In every room the water from the San Pellegrino spring is brought directly from the source. The hotel uses electricity only from renewable sources. The hotel restaurant offers typical dishes of the Trentino cuisine, prepared with local ingredients and genuine raw materials. Vegetarian and gluten-free dishes are also available. The hotel also organizes theme dinners dedicated to local recipes. 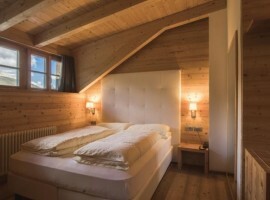 A 4 star hotel in the heart of Fassa Valley, with nice and eco-sustainable rooms will give you the perfect rest and refreshment after your excursions in the fantastic nature around you. Run away from the hustle and bustle of the city and come in this oasis of body and mind. Paying attention to the needs of the guests is the most important thing for the Hotel Alle Alpi Beauty e Relax, and you can see this also in its architectural structure: wide rooms all different one another to let you choose the one that suits your type of holiday the most. With your children, with your beloved, looking for a sophisticated and elegant accommodation or a more comfortable and practical one, the Hotel will certainly have the perfect room for you. Your days at the hotel will never be boring. 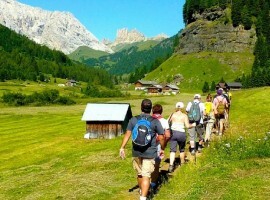 All around you there is a nature ready to be explored, rich in possibilities to practice some outdoor sports and itineraries to go trekking and to let you enjoy the wonderful landscape of the Dolomites in the Fassa Valley. And after some sport, restore your energies in the wellness area of the hotel, while your children will continue having fun and making new friends at the mini-club! Why it is green: the energy of the hotel comes from 100% renewable energy, it uses ecological cleaning products, low consume light bulbs, control system for the flow of water and offers its guests a delicious organic and km 0 kitchen: the eco-friendliness is guaranteed! In the centre of Moena you can find La Serenella, a wonderful 3 stars hotel where you can discover the savours of the Ladin tradition in its organic local kitchen, have a moment of relaxation and refill the energies to face the activities in the open air, both in summer and winter. The position is strategical in order to let you do whatever you want in every season. Follow the eco-touristic itineraries suggested by the hotel, wander around the beautiful centre of Moena, get ready for a whole day on the ski slopes or to go hiking in the incredible landscape of Fassa Valley. Why it is green: where can you see the eco-friendliness of the structure? From a 100% renewable energy, ecological cleaning products, control system for the flow of water, the low consume light bulbs and the organic local food. 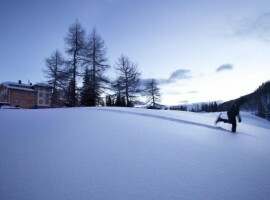 If you can’t wait to go on holiday in the mountains to go skiing, snowboarding and practicing other sports in the open air, Hotel Monzoni is what you are looking for. 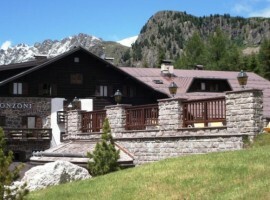 Placed right on Passo San Pellegrino, at the beginning of Fassa Valley and just a few kilometres from Moena, the 4 stars hotel is in a real strategic position for your desire of sport. 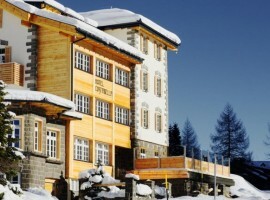 The lift facilities are just 50 m away from the hotel: an incredible advantage for whoever wants to go skiing. 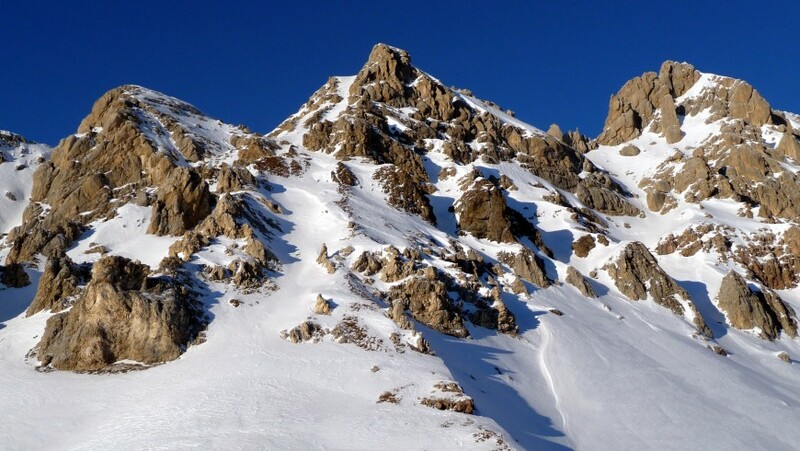 Moreover, if you do not ski but love walking, there are a lot of paths of eco-turism that you can follow in order to make wonderful excursions into the nature. Besides this, you will enjoy a breath-taking view from here. The landscape of the Dolomites offers a unique atmosphere to your stay, giving you amazing glimpses. Pamper yourself with the excellent kitchen of the Hotel: every day you will be offered some of the most varied recipes that will satisfy any taste! From the most traditional dishes to the National and European ones and to customised menus for children, vegetarians, people with celiac disease and attentive to any kind of food intolerance. Why it is green: if you want to be sure about the eco-friendliness of the accommodation, read here: it is certified Ecolabel Fiore Eurpeo, it has recycling bins, uses ecological cleaning products, a 100% renewable energy and low consume light bulbs. Choose an eco-friendly accommodation to spend your holidays with your family. It is the best way to have fun with your children in a place that puts the respect for nature in the first place. Children will be evolved in a healthy and ecological atmosphere that will surely help them understanding even more the genuine values on which Residence Lastè is based. Being in a strategic position the residence is perfectly linked to everything you need: within a short walk you will be in the centre of Moena, while a skibus that stops in the nearby of the hotel will take you to the ski slopes very quickly. If you want to make a trip to Trento or Ora, there is a train station few minutes away from the hotel. The entire family will enjoy every moment spent here: children will play in the garden and play rooms, while the parents can join them or have a rest in the wellness area or lie down on the sun loungers of the garden and cook with the barbecue. There is indeed the possibility to play ping pong, tennis and football: impossible to get bored! Every flat has a balcony from where you can admire the Dolomites and the landscape of Fassa Valley and breathe in the clean fresh air of the mountains. Moreover, its strategic position is perfect if you want to go hiking in the surrounding nature. If you prefer to go bicycle, the residence offers free bikes to its guests: another way to promote the soft mobility. 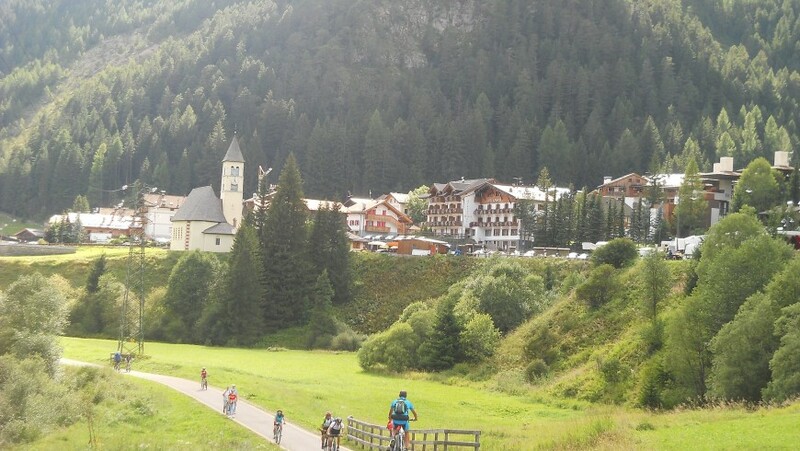 By bicycle you can explore Fassa Valley taking the long cycling path that crosses it. Do not miss the chance to explore this valley, you will see stunning landscapes! 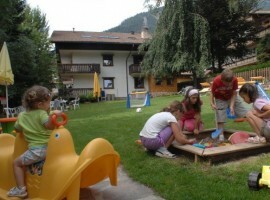 Another eco-friendly structure in Moena which pays also great attention to children is Hotel Monza. 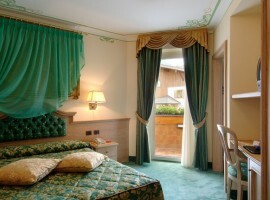 It offers rooms with panoramic views so you can admire Moena and the Dolomites around it in the best way possible. 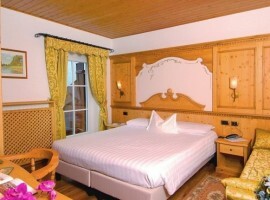 It is also years that the hotel hosts with pleasure even very numerous families. Come and taste the dishes from the Ladin tradition, offered between national and international dishes in order to satisfy the tastes of everybody. Everything is cooked with passion and dedication using organic km 0 products. 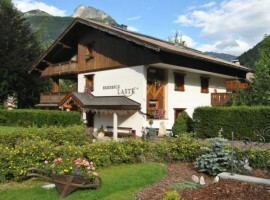 Why it is green: recycling bins, low consume light bulbs and control system for the flow of water are just some of the reasons why this accommodation is considered an Alpine Pearl, supporting exclusively an eco-friendly tourism. Dream-like rooms, cozy and comfortable. 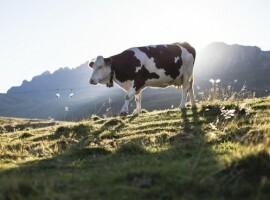 Moena eco-friendly and romantic at the same time? Yes of course at Hotel Garden! After a day of walking or skiing down the wonderful ski slopes together with your partner, pamper yourself in the wellness area of this 4 stars hotel and experience a stay of total tranquillity together with the kindness of the staff. If you want to bring your children with you, but also dedicate a moment just for you and your beloved, the hotel offers the mini-club service, so that you can leave your children playing safely without worries. The hotel is a real paradise every day of the year. For whoever goes on holiday in winter, the lifs facilities are just some minutes away, while during summer there are thousands paths and touristic itineraries for long walks into the nature. Why it is green: the eco-friendly hotel boasts the name of Ecolabel Fiore Europeo and it is built following the directions of the bio-architecture. It is accessible without car, prepares tasty dishes using local and organic products, has recycling bins and it uses low consume light bulbs. These are just some of the eco-friendly structures in Moena, a centre that promotes the soft mobility also by limiting the traffic through its roads. 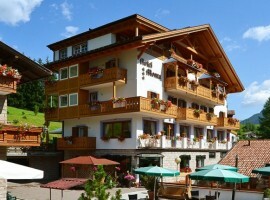 Come and discover the other accommodation by clicking here and let us know your opinion! This entry was posted in green hotels and tagged Dolomites, eco-friendly hotel, family holiday, Moena, romantic getaway, Trentino. Bookmark the permalink.